Christmas Carols From Canterbury And Wells Cathedrals. Angels From The Realms Of Glory. O Little Town Of Bethlehem. In The Bleak Midwinter. Adeste Fideles -Bing Crosby, & Frank Sinatra. Snowman -Bing Crosby. 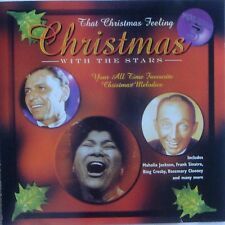 That Christmas Feeling -Bing Crosby. Jesu Joy Of Man's Desire -Mantovani & His Orchestra. O Holy Night -Drifters. To the UK : 1CD Album is £1. 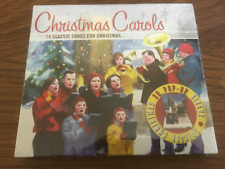 Christmas Carols (CD) In a cardboard sleeve. Orpheus Boys Choir Christmas Favourite Songs and Carols,Music 2 CD set,43 tracks. Condition is Very Good.See photos item condition and track listing.Sorry no returns. The perfect solution to get yourself feeling in the festive spirit! So,if you're looking for the bit of festive musical cheer at a reasonable price, you've found it right here! If you plan on going Carol singing it could also be used as music to sing along to. Christmas Carols. The Herald Angels Sing. On Christmas Night. Silent Night Holy Night. What Child Is This. Various Choirs. The Greatest Christmas Carols. Including The Choir Of King's College Cambridge. Fantasia On Christmas Carols . Ave Verum Corpus, K. 618 "Jesu, Word of God Incarnate" . Choir of King's College, Cambridge/Sir David Wilcocks. CHRISTMAS CAROLS. NOTE: DVD/CDs AS USED BUT MOST ARE NEW AND NEVER BEEN USED, THE OTHERS MAY HAVE BEEN PLAYED - BUT WE CHECK TO SEE THAT THEY ARE IN GOOD QUALITY. ALL OF OUR DVD/CD’s ARE IN THE ENGLISH LANGUAGE UNLESS OTHERWISE STATED. 4x Christmas CD Albums: The White Christmas Album Easy Listening at Christmas Christmas Carols Christmas Songs 85 festive tracks in total! Excellent condition. See pictures for details and track listing. 1 Frosty the Snowman. 4 Rudolph the Red-Nosed Reindeer. 6 Santa Claus Is Coming To Town. CHRISTMAS SING-ALONG. 5 All I Want For Christmas Is My Two Front Teeth. Normal wear and tear on the artwork, without any major defects is acceptable. Mondo Groovy Christmas. In great condition - like new. · UK Sterling Money Orders or UK personal cheques. WE HAVE THOUSANDS MORE CDS, DVD'S, T SHIRTS ETC TO LIST. (NEW AND SEALED). SARAH MCLACHLAN - WINTERSONG DIGIPACK CD. IN EXCELLENT CONDITION. PLEASE TAKE A LOOK AT MY OTHER ITEMS. I WILL POST WORLDWIDE, PLEASE ASK FOR POSTAGE & PACKING RATES IF YOU ARE OUTSIDE THE UK. IF YOU ARE BUYING MORE THAN ONE ITEM, PLEASE REQUEST AN INVOICE WHEN YOU HAVE FINISHED , SO THE COMBINED POSTAGE CAN BE CALCULATED. NB:- DUE TO ITEMS GETTING "LOST" IN THE POST, ALL ORDERS OVER £9.99, AND TO BRAZIL WILL NOW BE SENT RECORDED DELIVERY (UK) OR INTERNATIONAL SIGNED FOR (OVERSEAS) THIS WILL BE ADDED TO THE BUYERS INVOICE SO BOTH BUYER AND SELLER HAVE A TRACKING NUMBER. THANKS. 16 - Christmas Is Coming. The CD is unused. 14 - The Holly And The Ivy. The Herald Angels Sing. 5 - The First Noel. 11 - Angels From The Realms Of Glory. 2x Christmas CD Albums: Carols, Kids, Pop, Classics. Wizzard, Bing Crosby, Mud..
2x Christmas CD Albums: Foster & Allen’s Christmas Collection The Christmas Party Album 38 festive tracks in total! Excellent condition. See pictures for details and track listing. Various Artists : Classic Christmas Carols CD (2005)Title: Classic Christmas Carols Artist: Various Artists Genre: Gospel/Christian|Xmas Duration: 119 mins Format: CD / Album Type: CD No. of Discs: 2 disc(s) Studio / Label: Crimson UK Release Date: 24 Oct 2005. Carols - The Christmas Collection (CD Album) Used Very Good. Condition is Very Good. Dispatched with Royal Mail 1st Class Large Letter. The Christmas Carols Album. The Herald Angels Sing. On Christmas Night All Christians Sing. The Holly And The Ivy. In The Bleak Mid-Winter. See Amid The Winter's Snow. While Shepherds Watched Their Flocks. INCLUDES GUEST APPEARANCES BY ELAINE PAIGE & BRIAN KENNEDY. COVENTRY CAROL. LITTLE JESUS SWEETLY (ROCKING CAROL). SUSSEX CAROL. THE PEOPLE'S FRIEND. CHRISTMAS SPECIAL 2005. A STARRY NIGHT. JOY TO THE WORLD. THE HERALD ANGELS SING. 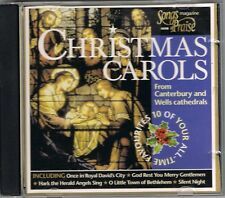 Favourite Christmas Carols CD (2003)Title: Favourite Christmas Carols Genre: General|tbc Duration: 52.50 mins Format: CD / Album Type: CD No. of Discs: 1 disc(s) Studio / Label: Prism UK Release Date: 29 Jan 2003. CD has been sample played to ensure no problems such as skipping or loss of sound quality. The Guildford Cathedral Choir : The Christmas Carols Album CD (1996)Title: The Christmas Carols Album Artist: The Guildford Cathedral Choir Genre: Classical|Xmas Duration: 56.20 mins Format: CD / Album Type: CD No. 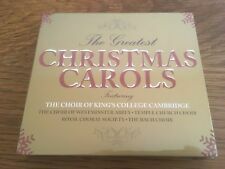 Greatest Ever CHRISTMAS CAROLS & SONGS The Definitive Collection 3 x CD Set Like NEW & Near MINT (Not Sealed). It Feels Like Christmas - Ghost of Christmas Present. Christmas Past - Various. Finale: When Love Is Found/It Feels Like Christmas - Tiny Tim/Cast/Ghost Of Christmas Present/Scrooge. Christmas Future - Various. Childrens Christmas Carols Songs. Title : Childrens Christmas Carols Songs. Artist : Various Artists. Binding : Audio CD. Format : CD. Condition : Very Good. Product Category : Music. DANIEL O'DONNELL - THE CHRISTMAS ALBUM CD. THE WORLD'S FAVORITE CHRISTMAS CAROLS. CHRISTMAS IS COMING. NOTE: DVD/CDs AS USED BUT MOST ARE NEW AND NEVER BEEN USED, THE OTHERS MAY HAVE BEEN PLAYED - BUT WE CHECK TO SEE THAT THEY ARE IN GOOD QUALITY. Carols and Choral Music. MUSIC FOR A GLORIOUS CHRISTMAS. English Christmas - CD of 23 Carols and Book. Explains traditions of Christmas. Contains a CD with 23 Carols sung by a selection of English Cathedral Choirs - see photo for detailed CD contents. 21 page glossy colourful paperback with interesting chapters on what makes an English Christmas and why. Carols For Children. 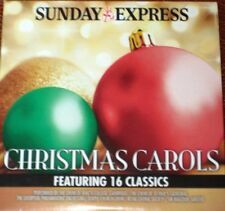 This fantastic collection of Christmas Carols on CD. Hark The Herald Angels Sing. Kids love it. 25 Sing-along Christmas. singing along & getting into the Christmas. This disc will work in any normal CD player. Title: Popular Christmas Carols. Artist: Choir of Liverpool Cathedral. Format: CD. Condition: New. DAVID WILLCOCKS & CHOIR OF KING'S COLLEGE CAMBRIDGE Carols From King's Tradition Christmas Favourites. Sussex Carol (On Christmas Night). Rocking Carol: Little Jesu Sweetly Sleep. The Three Kings. Coventry Carol. Title: Childrens Christmas Carols Songs. Title : Childrens Christmas Carols Songs. Artist : Various Artists. Binding : Audio CD. Format: CD. Format : CD. Condition : Good. Product Category : Music. Various Artists - Childrens Christmas Carols Songs. Title:Various Artists - Childrens Christmas Carols Songs. Artist:Various Artists. All of our paper waste is recycled within the UK and turned into corrugated cardboard.